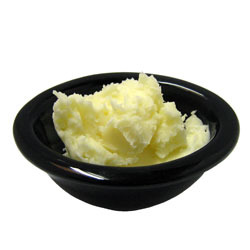 ARGAN BUTTER is obtained from Argan oil through our innovative process, preserving all the properties from the oil. Our method does not use any hydrogenation process. Argan oil is valued for its nutritive, cosmetic and medicinal properties. It has an exceptional content of natural tocopherols (vitamin E), phenols and phenolic acid, carotenes, squalane, and essential fatty resistant to oxidation. The Argan tree, a relict species from the tertiary age, is extremely well adapted to the drought and difficcult conditions of the southwestern Maroccos.